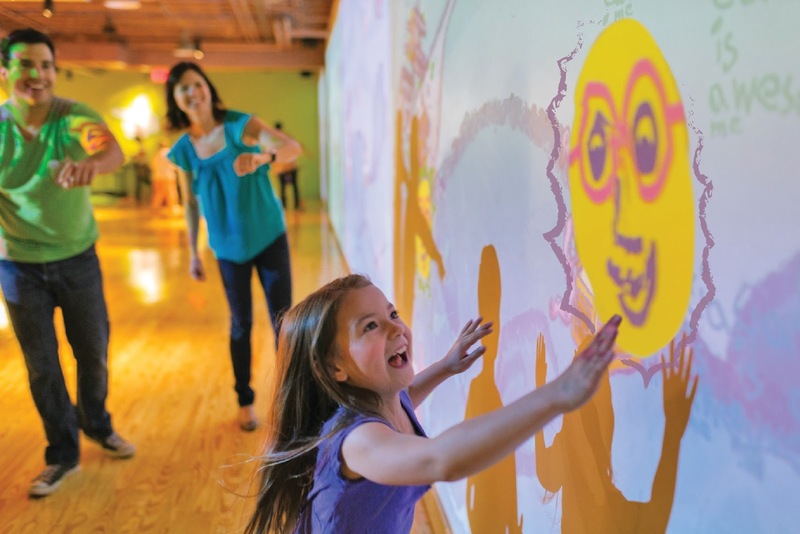 I am really excited to introduce you to the Crayola Experience in Orlando Florida. I would love to go, I could spend hours inside. 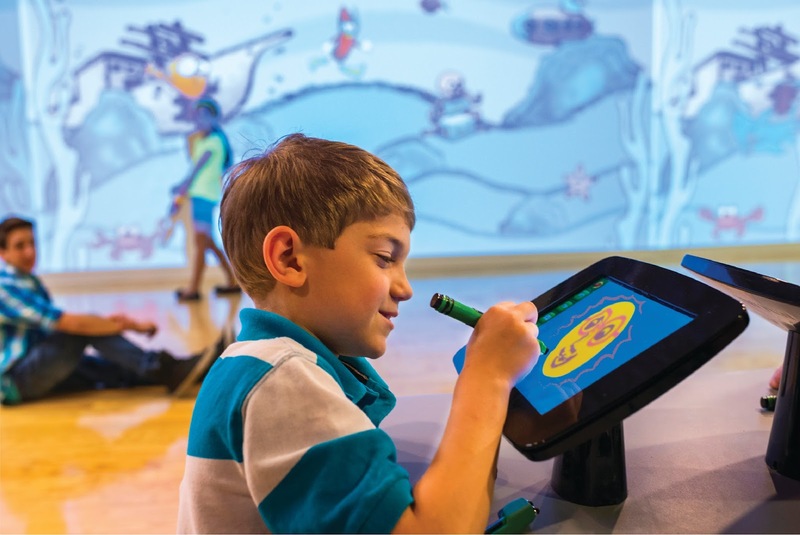 The Crayola experience is a hands on color experience mainly geared at kids. All the locations feature hands on attractions, a Crayola Cafe, and a Crayola Store. I would go to the Crayola Experience just for the store. There are products in there you can not find ANYWHERE else. 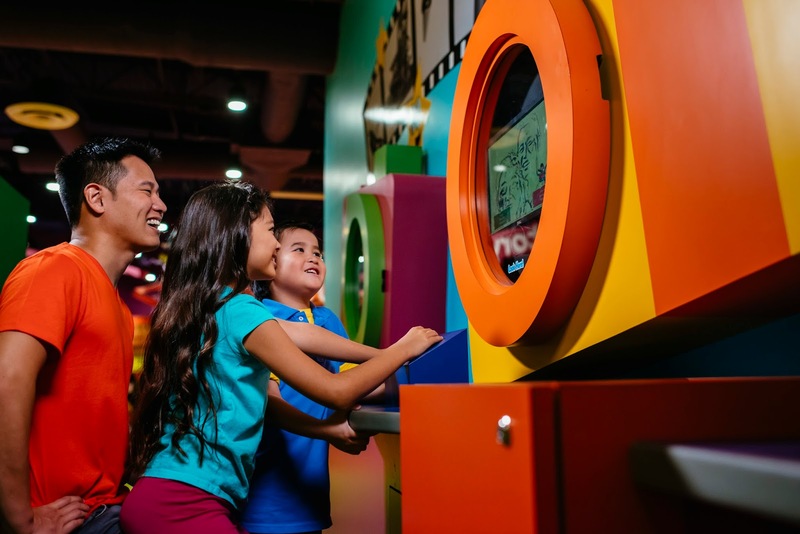 The Crayola Experience Orlando location is the second Crayola Experience to open in July 2015 . The first was located in Easton, Pennsylvania where the Crayola Factory used to be. I loved it so much I visited it for my 31st birthday. Since then another one has opened in Minneapolis, Minnesota, and a new one will open in Plano, Texas in the spring of 2018. 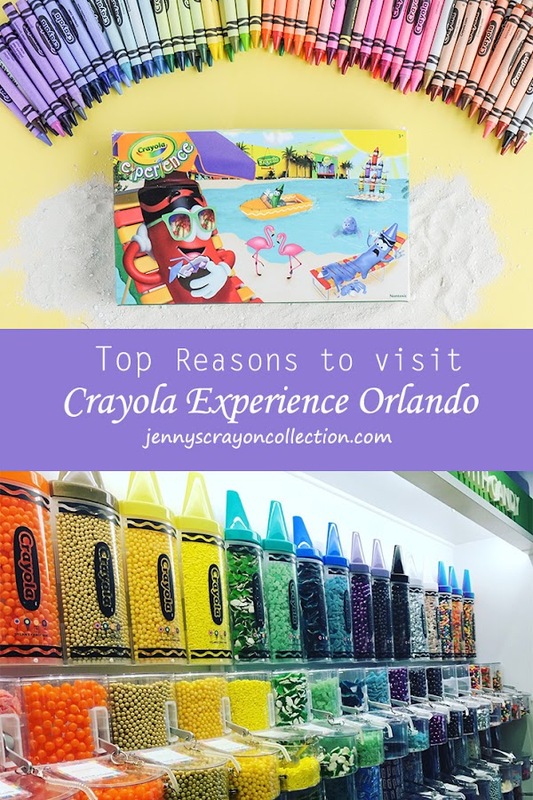 *I teamed up with the Crayola Experience in Orlando to write this post. They let me use all their pictures so I could show you what it is all about. There are also affiliate links in this post. It is almost the size of a department store (70,000 square feet) and is two levels. That is huge! The hours are 10:00-8:00 PM every day of the year, even Christmas and Thanksgiving. The ticket prices are regularly $22.99. I have a special discount for my readers. You can save $5 dollars and get in for $17.99. If you are thinking of going more than once though make sure to get the annual pass, it is regularly $34.99. They can be used in all locations and provide additional discounts on extra items. If I lived in Florida we would get that one and be there at least once a week. One of my collector friends has a pass and I am so jealous. Once you get inside there are so many fun things to do. 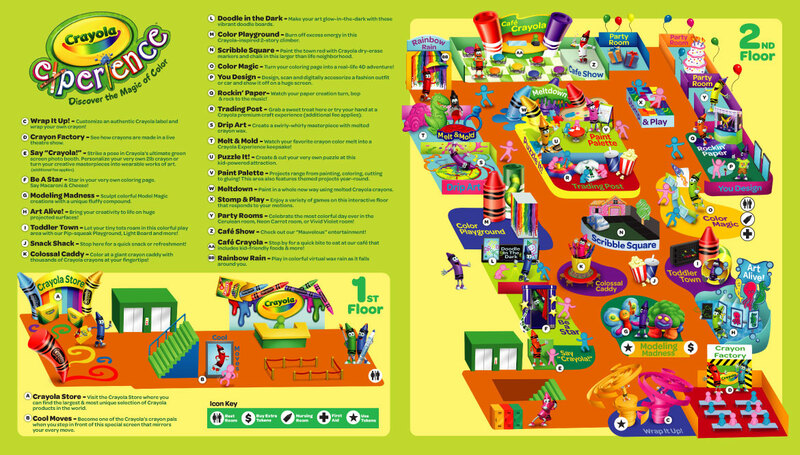 Here is a map Crayola Experience provided for this post and one can be found on their website. Some of my favorite activities are the Wrap It Up where you personalize crayons, Drip Art, where you create melted spinning crayon art, and all the playgrounds. What I love about the Crayola Experience is since it is so big it does not feel crowded. We have visited Legoland Discovery Centers in New York and Kansas City and have vowed to never go again because we felt like we were trampling on one another. Clear souvenir bags are handed out as guests arrive. Guests can put all their fun creations inside. I love having bags like this when we go places because if not I end up carrying so many random things around and end up losing them. There are also two tokens in each bag. They can be used for personalizing crayons or model magic. More tokens can be purchased for .25. I have included a little bit about each area below along with some pictures. What I have noticed is some areas are similar to toys that Crayola offers. I will include links to the toys if I have posted about them on this website. The "Say Crayola" and the "Trading Post" have additional costs. I have included as many details about the extra costs. They are subject to change. Activity Studio: Create themed crafts. Adventure Lab: Play a tablet with a puzzling challenge. Art Alive! : Create a drawing on a wall. Be A Star: Make your own coloring page. Cafe Stage: Listen to the history and science behind Crayola products. Color Magic: Play with 3D coloring. Similar to Color Alive books. Color Playground: Play on a color playground. Colossal Caddy: Color with a huge Caddy with lots of crayons. Cool Moves: Dance with favorite characters. 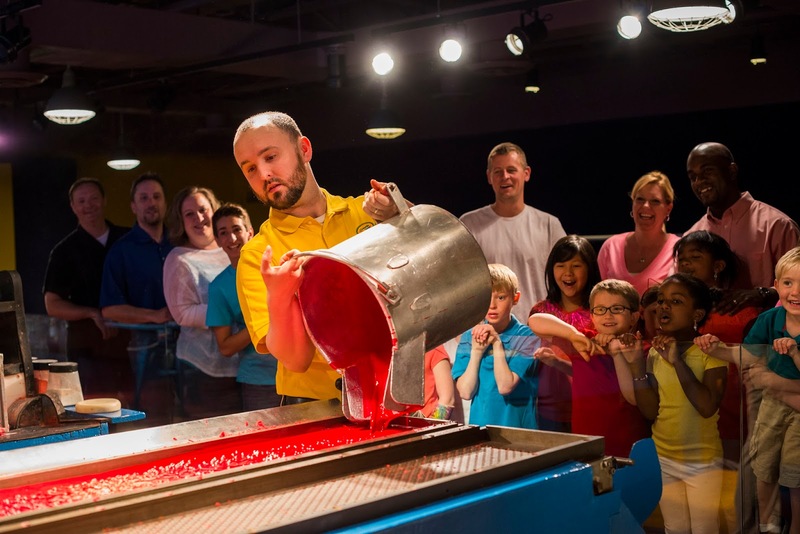 Crayon Factory: See how crayons are made. 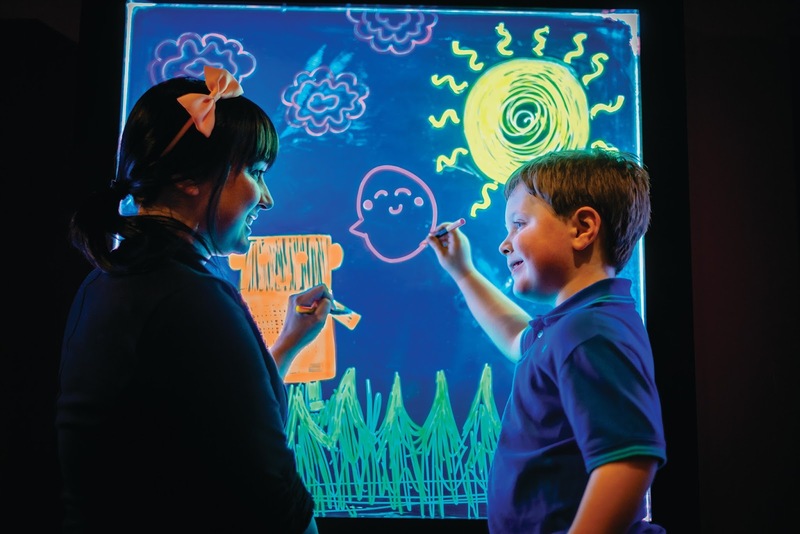 Doodle In the Dark: Doodle on doodle boards that glow in the dark. 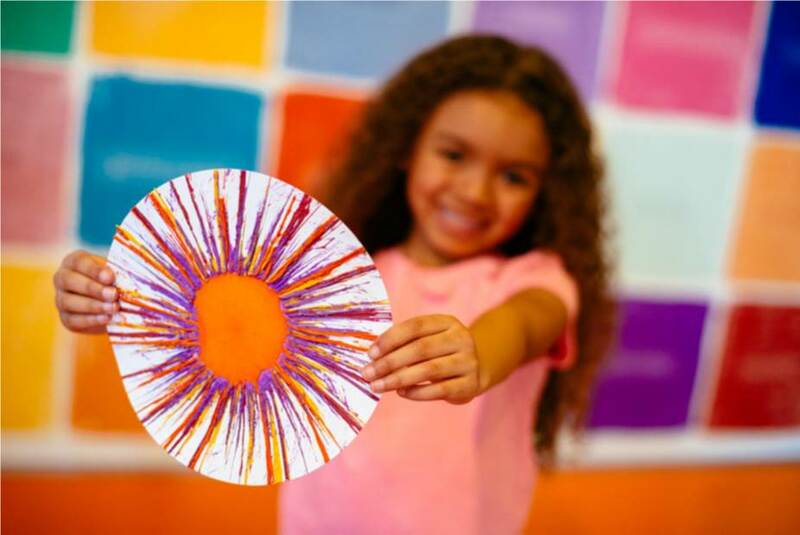 Drip Art: Spin a melted crayon. Melt & Mold: Make your own crayons. Similar to crayon factory. The one distinction is the type of crayons that can be made. 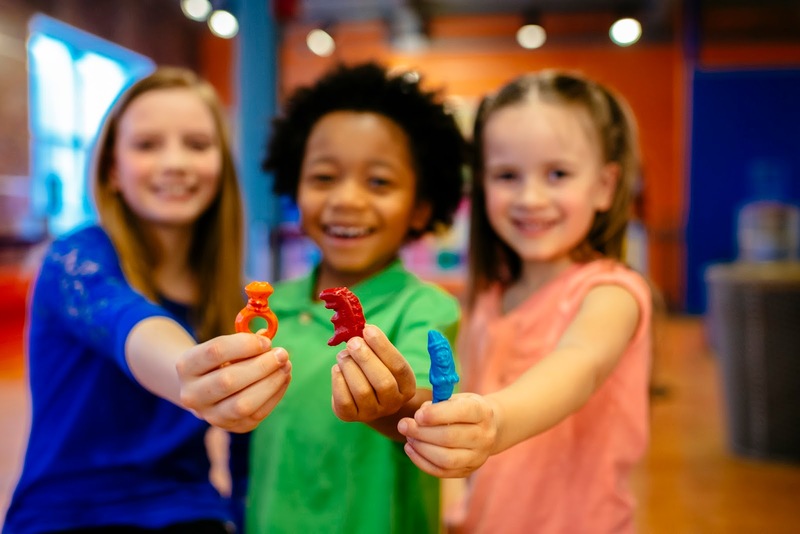 At Crayola Experience Orlando sharks, seahorse, a car or ring can be made. Meltdown: Use melted crayon to make artwork. Modeling Madness: Make creations with model magic, one token is included with admission, additional tokens are .25. Paint Palette: Paint a project and use drying oven to dry it. Puzzle It! : Create your own puzzle. Rainbow Rain: Catch melting digital wax. Rockin Paper: Watch your paper creations bop and rock to the music. "Say" Crayola! 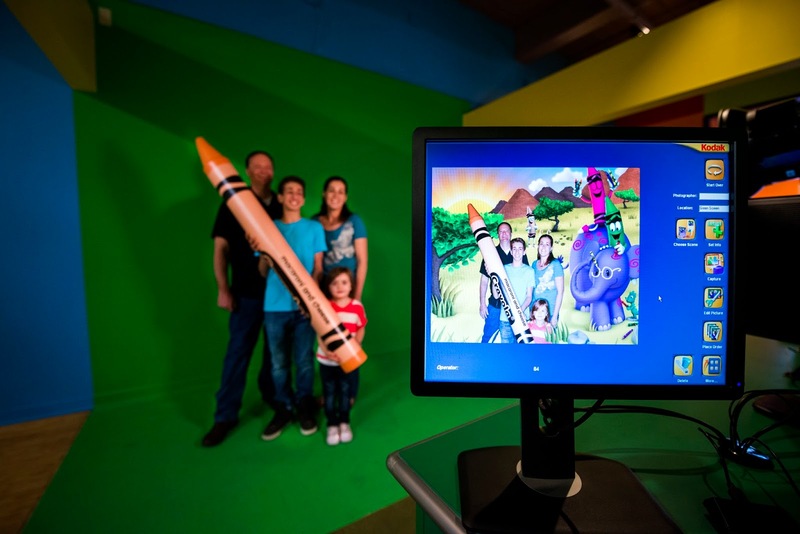 : Personalize a 2lb crayon and take picture on a green screen for additional fees. Prices subject to change. Scribble Square: Color a physical town. Stomp and Play: Play colorful games with an interactive floor. Toddle Town: Play in a multi colored pegboard with a giant ball maze. Trading Post: Create sand art and fabric art. Buy sweet treats. Additional fees apply. Prices subject to change. Wrap It up! 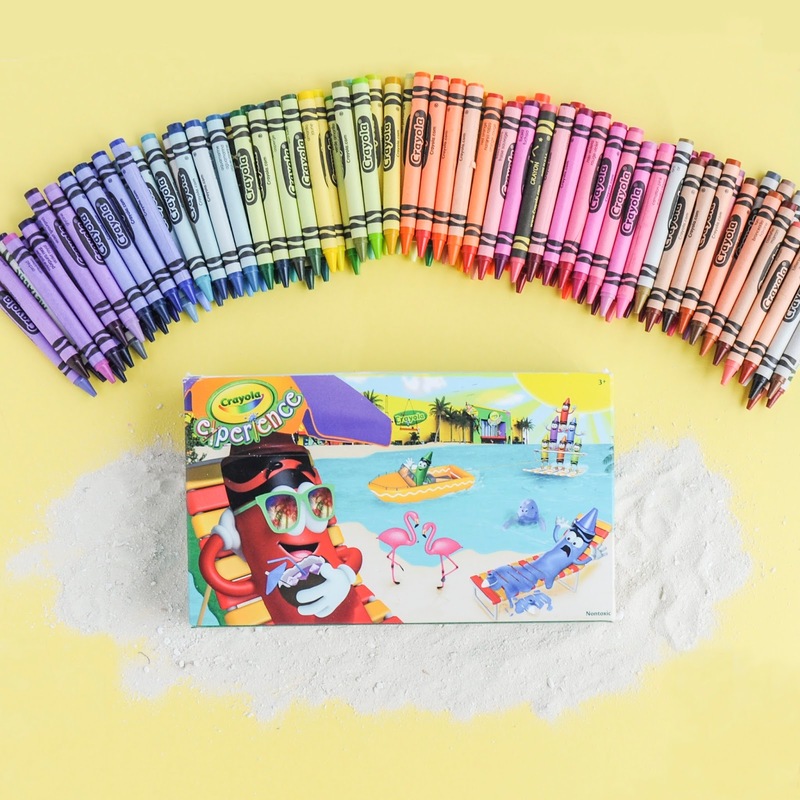 : Personalize crayons. It is an additional fee .25 more if you want to do it more than once. You Design: Color, scan and accessorize car or fashion designs. This is my favorite part about visiting any Crayola Experience. There are currently four Crayola stores in the US. One at each Crayola Experience Location. The fourth one is located in Kansas City, Missouri. I go to the Crayola Store almost every time I go to Kansas City. Many times they have products that are not available ANYWHERE else. I have acquired a lot of unique items for my collection from the Crayola Store. 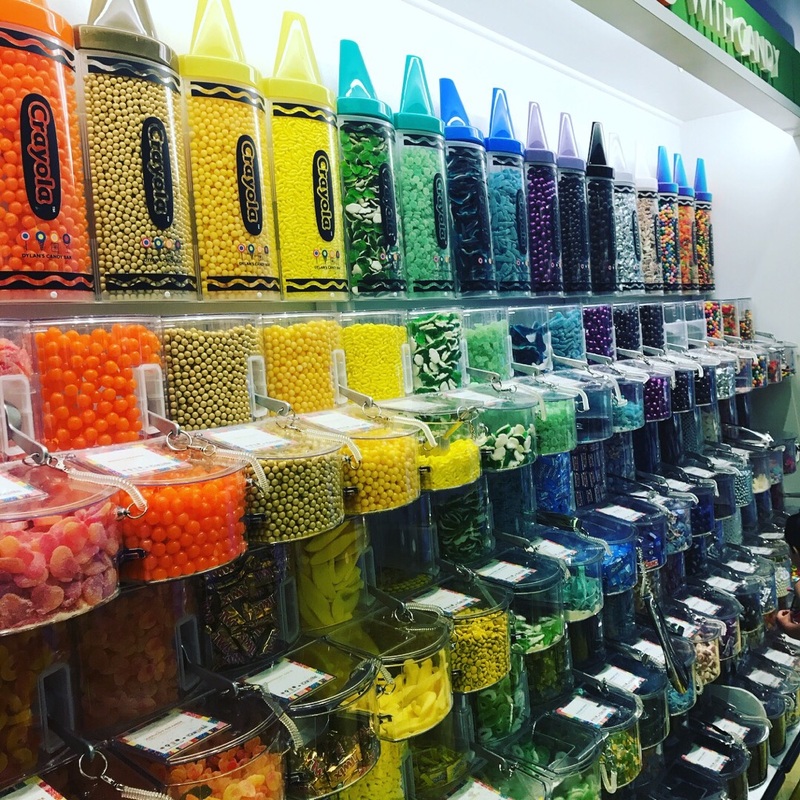 Each Crayola Experience Store features a unique box. Crayola basically sells two types of products, one is Licensed products that other manufacturers make and put the Crayola logo onside. These products can vary ranging from hats, shirts, Dylan's candy, Sally nail polish, Clinique lipstick, stuffed animals, puzzles, phone cases, necklaces, magnets, tissues, stickers, books, dental items, tins, and much more. The other product Crayola sells are Crayola original products. These usually include crayons, colored pencils, markers, some toys and other art supplies. You can differentiate the two products by looking to see if it has a Crayola product number. Their product numbers are called style and code numbers. Another big perk to the Crayola Experience Crayola Stores is the Pick Your pack wall. Here you can purchase whatever crayon or marker color you want. A tin box costs $16.99 and a round tin for $21.99. You can even purchase individual crayons for $.25 and markers for $.30. Prices are subject to change. I am sooooo glad Crayola has these Crayola Experiences. I do wish they had more of a historical component to them and there was a museum, but these will do for now. The Crayola Experience in Easton has many historical aspects to it. And I love that they are expanding. This means they are probably doing well. There was a trial at this sort of place in the 2000's with Crayola Works in Baltimore, Maryland. Unfortunately the location closed because it did not do well. I really hope these locations do well and they expand all over the country. The Crayola Store is my favorite place to visit. Grab a ticket now, for being one of my readers you can get 5.00 off!